Orono – John M. Halloran, 65, died unexpectedly September 27, 2018, at a Bangor hospital. He was born December 11, 1952, in Johnson City, NY, the son of George G. and Rose H. (Petras) Halloran. John graduated from Hamilton Central School in 1971, where he distinguished himself in academics, athletics (lettering in four sports), and the performing arts, and was popular and well-respected. Following his freshman year at Cornell University, he was drafted and served in the U.S. Navy. Six months later, he received an honorable discharge and returned to Cornell. On his return, he joined the “lightweight” football varsity alongside many of his Delta Upsilon fraternity brothers. DU and football became the source of many lifelong close friendships. John’s B.S. in agricultural economics from Cornell was followed by an M.S. and Ph.D. in the same field from Michigan State. John spent the first half of his career as an extension economist and professor at the University of Hawaii. He loved traveling among the islands, advising farmers on marketing in such diverse areas as cut flowers, coffee, bananas, papayas, livestock, forests, and fisheries. He was instrumental in the early farm-to-restaurant movement in Hawaii, and in 1990 was named the Gamma Sigma Delta Hawaii Extension Educator of the Year. 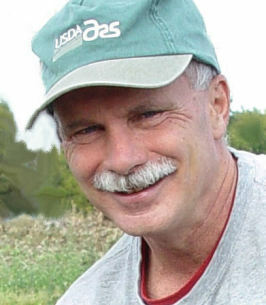 Following a move to Maine in 1999, John was employed as a research economist for the U.S. Department of Agriculture’s New England Plant, Soil, and Water Laboratory in Orono. His work included research into sustainable potato crop rotations. In 2008, he and his colleagues won national recognition for “Excellence in Technology Transfer” for a CD developed to aid potato farmers with planning. John was happiest on the rare days when he could be in the field, advising farmers or digging potatoes from the lab’s research plot in Aroostook County. John deeply valued his friendships, and was loved by those who knew him. With his sparkling blue eyes and exceptionally quick wit, he could easily bring a group to laughter, yet his humor was never mean. He was friendly, down-to-earth, unassuming, and compassionate. Wherever he was involved, he asked for very little and contributed much. John is survived by his wife, Leslie Hudson. Though acquainted at Cornell, it was a chance encounter at their 20th reunion and Leslie’s subsequent visit to Hawaii that finally brought them together. They married in February 1997 and enjoyed hiking, bicycling, gardening, traveling near and far, cooking and entertaining together, and being outdoors as much as possible. Even during the last years of John’s illness, he and Leslie enjoyed memorable adventures together. In 2015, they explored Canadian and U.S. national parks in the Rockies, and in 2016 spent a month in New Zealand—their most magical and beloved trip ever, even inspiring them to return in 2017. During these later years, John took up painting, displaying a passion for bold colors and drawing inspiration from the landscapes they visited and the flowers in their gardens. John is also survived by his sister, Diane, of Hamilton, NY; two brothers, Gregory (Desiree) Halloran of Venice, FL, and Matthew, also of Hamilton; as well as nieces and nephews. 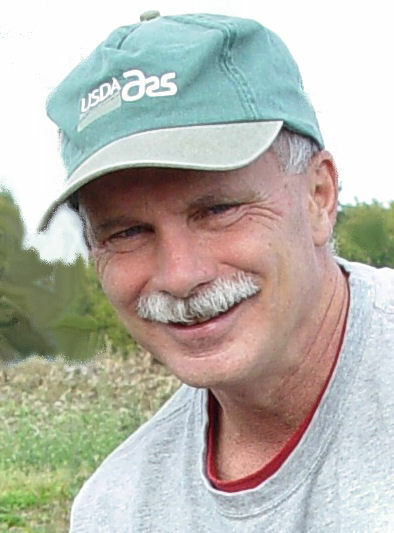 Those who wish to remember John with a gift may contribute to two programs meaningful to him: Maine Organic Farmers and Gardeners Aroostook County Program (checks should be made out to MOFGA with John’s name on the memo line, and sent to P.O. Box 170, Unity, ME 04988) or Cornell University Sprint Football, where John’s teammates are raising money for a memorial locker (checks should be made out to Sprint Football, with “John Halloran Memorial” on the memo line, and mailed to Cornell University Sprint Football, Teagle Hall, 512 Campus Drive, Ithaca, NY 14853). Condolences to John’s family may be expressed at www.brookingssmith.com. Whoever wrote John's obituary really captured how I always think of him: warm, friendly, always interested in others, and kind to the core. I was happy to read that he and Leslie were able to share their love of the outdoors, gardens, and good food in his last years. His spirit will be missed widely. What a beautifully written obituary. It brought so many fond memories of happier days for John and all of us. He really had such a wondeful smile and wit, always a beacon of light. I am so sorry to read of John's passing. I was on the Michigan State University faculty when John was there earning his degrees and he was one of my very favorite people. We played noontime basketball together, had a beer at the Peanut Barrel, and talked frequently. He had a great sense of humor, always a twinkle in his eye, a real leader among the grad student corps at the time. John was always fun to be around. He was a great supporter of the MSU graduate program and his major professor Jim Shaffer. My only regret is that I didn't know he was working here in Maine when I moved back here in 2007. We would certainly have been in touch. My wife Lois and I extend our sincere condolences to the family -- he was a special guy. I have so many memories of the Halloran family. I want to pass on my most sincere condolences to all the family and friends of Mr. Halloran. I was from Hamilton NY and the President or the Hamilton FFA Chapter led by his Dad George. Great family and so God has gained another hand to help from above.